Chevy Cruze offers solutions instead of sacrifices. Like helping you to get the most out every drop of fuel you put in the gas tank without sacrificing performance, handling or safety. Cruze starts its fuel-efficient journey with an available 1.4L turbocharged engine. Engineered to improve mileage without compromising performance, Cruze offers 138 horsepower, 148 lb.- ft. of torque and an EPA estimated 38 MPG highway. Want the best highway mileage of any gasoline engine in America? Hit the road in Cruze Eco, offering an EPA estimated 42 MPG highway. With more standard safety features than any car in its class, you get great mileage without surrendering confidence. So stop Bob Maguire Chevrolet and test drive the 2013 Chevy Cruze today. Get incredible fuel efficiency without sacrificing what matters. Hat? Check. Gloves? Check. Engine Oil? As winter’s chilly embrace holds most of the nation in its grip it’s important that we protect not only ourselves from the elements but our vehicles too. Frigid weather can have an impact on the health of your car. Keeping it in proper working condition during this cold stretch is vital for your safety and the safety of others. Here are some winterizing tips to keep in mind as you travel through the ice and cold during this blustery season. As it gets colder outside, your engine oil naturally thickens. If it is too thick, it won’t do the best job at keeping your engine lubricated. So if you’re due for an oil change during the winter months make sure you change to one that has the right thickness for this time of year. Less than tropical conditions can have a profound effect on your vehicle’s battery. It can lose up to 33% of its power when the temperature dips below freezing. If temps drop below zero, you can expect a 50% in power loss. So check those connections for corrosion, make sure it’s getting the water it needs and if your battery is more than three years old, get it tested to make sure it can hold its charge. Wet, snowy or icy conditions can jeopardize your vehicle’s traction on the road. As the weather gets colder, air pressure drops, so keeping your tires properly inflated during winter is a safety-must. Check your Owner’s Manual for the proper target air pressure. And make sure you have enough tread on those tires by placing a quarter into several tread grooves across the tire. If part of Washington’s head is always covered by the tread that’s good news, you have more than 4/32″ of tread depth remaining. Driving in snow and ice is always a challenge. If you can’t see out your windshield, not only does it make it more of a challenge but also makes it less safe for you and other drivers on the road. Wiper blades usually last about one year so we recommend replacing them at the beginning of every winter. If you live in a harsh winter climate rubber-clad snow blades are an effective alternative. And don’t forget to top off your windshield wiper fluid reservoir too. An emergency kit is always a good idea. Keep blankets, extra warm clothes and even jumper cables handy. Stay bundled up and stay safe on the road in 2013. Nearly 60 years ago, the General Motors corporation was already such a worldwide industrial force that it built more than half the cars sold in America: Chevrolets, Pontiacs, Oldsmobiles, Buicks, Cadillacs and the occasional locomotives. What it didn’t make was a sports car. Until 1953. The storied history of the Chevrolet Corvette is stuff of fantastic legend and hard iron. It was conceived to be a one-off exhibited at GM’s Motorama that year, until Ed Cole, Chevy’s chief engineer, saw it, and is said to have literally jumped up and down with enthusiasm to build it. In 2009, the C5 ZR1—Mallon’s favorite, minus the hyphen—arrived with a powertrain that put down a ferocious 638 horses, making it the fastest to roll off the Vette assembly line. The current C6 ZR-1 has been built at GM’s Bowling Green, Kentucky assembly plant. For the 2013 model year, Chevrolet offers the Corvette 427 Convertible Collector Edition—the most capable convertible in Corvette’s history—as well as a 60th Anniversary Design Package that’s available on all 2013 Corvette models. The good: The 2013 Chevrolet Spark integrates navigation into its dashboard running off of a smartphone. OnStar provides a number of emergency and concierge services. Fuel economy is in the mid-30s. The bad: The Bluetooth streaming tech can’t handle phone calls and audio streaming from the same device. Voice command is limited to the hands-free phone system. You get slow starts and limited passing ability thanks to the 84 horsepower. The bottom line: The 2013 Chevrolet Spark includes some intriguing features for its price, but bizarre limitations in the cabin electronics and low horsepower create too many compromises. As a city dweller, I appreciate the parkability and maneuverability of small cars, so was predisposed to like the tiny 2013 Chevrolet Spark. This littlest of Chevy models tries to capture the utility of the Honda Fit. Its low price makes it a good entry-level car, and high fuel economy adds to its practicality. Small cars tend to come with extreme styling, as seen in the retro Fiat 500 and the futuristic Scion iQ. The Spark leans toward the latter, with oversize headlight casings dominating the front end and an interesting dip in the side graphic where it hits the side mirror. Chevy smooths the rear styling by having the exhaust pipe integrated with the rear fascia. The tiny cargo area expands through folding up the rear seats, a two-stage process that involves lifting the bench, then pushing the back forward. When all is stowed the rear area becomes capacious, suitable for the worldly possessions of the typical college student. At 32 mpg in the city and 38 mpg highway, fuel economy looks good, but Chevy achieves it the old-fashioned way, by using a very low-power engine. At 1.25 liters, this four-cylinder is laughably small, while 84 horsepower and 83 pound-feet of torque are numbers rarely seen in the U.S. automotive market. By contrast, a high-tech engine like the Ford EcoBoost 1-literboasts 123 horsepower. Although the drivetrain doesn’t make much use of modern tech, the infotainment features certainly do. In either 1LT or 2LT trims, the Spark comes with a big, 7-inch touch screen showing a menu with options for digital audio, video, telephone, and apps. That last menu item holds the holy grail of car navigation, complete integration with smartphone-based navigation. Using an iPhone or Android running the BringGo navigation app, which was not publicly available as of this review, the navigation screens, complete with full touch control, show up on the car’s LCD. The smartphone app performs route processing and offers online search for destinations. It receives traffic data from an online source as well, using that to avoid traffic jams. Under route guidance, the turn instructions showed up in a small inset in a corner of the map, but the app provided good voice prompts. The maps were readable, and displayed in both 2D and perspective views. The app can also download a projected route so it will continue to give guidance when out of cell coverage. Other apps available in the Spark were Pandora and Stitcher. With this platform, I assume Chevy will be adding more in the future. I noticed the system could be a little buggy when I tried to activate an app, occasionally popping up a message saying that the phone was already running something. Grabbing the phone and lighting up its screen tended to clear this error. My iPhone had to be cabled to the car, as the Bluetooth connection would not support app integration. The Pandora integration worked very well, letting me choose from my personal list of stations and give the current song the thumbs-up or thumbs-down. However, I would prefer to see Pandora listed as one of the audio sources instead of being tucked away on the app screen. In another step toward the future of in-car entertainment, Chevy did not bother with a CD player in the Spark, something I am quite happy to do without. Instead, the Spark offers a USB port for iOS devices and thumbdrives, an auxiliary input, and satellite radio. Bluetooth audio streaming is available with one extreme caveat: you cannot use a hands-free phone connection and streaming from the same device. That restriction is inexplicable, as that sort of simultaneous connection works with just about every other car on the road. The touch screen makes it easy to select music from devices plugged into the USB port, and had no problem reading an iPhone 5 with its Lightning cable connection. With a USB drive filled with MP3 tracks, the head unit cataloged the music by ID3 tagging, organizing the library screen into album, artist, and song categories. Strangely, the car’s voice command did not let me request music by name, or offer any control over the audio system. Chevy brands this head unit under its MyLink name, and its other models with this system offer that functionality. I believe Chevy is using an essentially different electronics platform for the Spark than it does for other models, and referring to both systems as MyLink. Apparently GM’s restructuring did not eliminate bad product-marketing decisions. This voice command did let me place phone calls by name, using my Bluetooth-paired phone. The phone screen also gave me access to my phone’s contact list. The Spark also features OnStar, one of the best telematics systems available, which has its own hands-free phone system and concierge services for navigation and emergency services. Sound quality from the system was fairly atrocious, lacking any sort of power or tangible bass. There was a little clarity in the treble, but most of the frequencies on a track were compressed into one muddy audio stream. For example, the vocals on Florence and the Machine’s “Dog Days Are Over” were nearly indistinguishable from the midrange instrumentation on the track. According to GM spec sheets, our 2LT-trim Spark should have come with six speakers, but the remaining four were not in evidence. At 1.25 liters, the engine seemed as minimal as the audio system. This car came with a five-speed manual transmission, while a four-speed automatic is available. Given the limited horsepower, I would opt for the manual, as it is easier to control engine speed and get boost when you need it. A six-speed probably would have improved fuel economy, as the engine had to run at 3,000rpm when driving at freeway speeds in top gear. The shifter, which felt a little floppy in neutral, slotted through its gate with reasonable precision. The Spark seemed like a good car for people learning how to drive a manual transmission. The clutch take was a bit high, but it is impossible to know whether that was set at the factory or the car had suffered abuse in the hands of previous reviewers. The car purportedly includes a hill hold feature, but it seemed to work intermittently. Driving a car with such low horsepower takes a little getting used to. With barely any power at idle, I had to rev it up high for first-gear starts. It certainly doesn’t leap off the line, giving anemic acceleration even when I tried to get going fast. The manual transmission let me run the engine up to 6,000rpm in third gear, the sole conditions for some feeling of power. The Spark requires a full exploration of the digital tachometer’s limits, and even then I would be very leery about attempting to pass other cars on the highway. Heading up most hills, fifth and fourth gears became useless, the car slowing down and the gas pedal making no difference. Third gear was the savior for any situation where some power was required, despite what the little upshift icon on the instrument cluster might be suggesting. In typical mini car style, the Spark’s front wheels connect to the drivetrain, while the rears spin free. The fronts get disc brakes, while the rears sport drums. Likewise, the rear suspension is much simpler than the front, and less capable. The Spark let me know when I was driving over any rough stretch of road, with bumps and potholes communicated firmly to my rear end. Through the curvy bits, the Spark felt tippy, but actually proved capable of maintaining reasonable speed on the corners. I noticed the traction-control warning light blinking overtime when testing the car, its little 15-inch wheels and 185/55R15 all-season tires not offering much intrinsic grip. Electric power steering, another feature becoming common today, felt overboosted in the Spark. At a stop, I could turn the wheel with one finger. It firmed up a bit on the road, and even showed a precise tie to wheel angle. There was very little play in this steering system. A base price of $12,995 is low enough to get the 2013 Chevrolet Spark initial attention, but you will need to go up to the 1LT level to get the so-called MyLink system in the dashboard. The 1LT is $14,595 with a manual transmission, still undercutting most of the small-car competition. The price and utility make it a good choice as a first car for a high school or college student, not to mention a means of teaching aforesaid student how to drive a manual. Although the size of the car will raise safety concerns for some, Chevy equips it with 10 airbags and electronic stability systems. Crumple zones and modern engineering should protect passengers in a crash. The small engine gets excellent fuel economy, but sacrifices power, unlike some more technically advanced engines hitting the market. The transmission choices are also very basic; the four-speed automatic sounds particularly primitive. Electric power steering is one of the most advanced features among the driving tech. The cabin electronics show some ambitious features, but some serious drawbacks as well. Chevrolet is not doing its MyLink brand any good by offering a head unit under the name that differs so substantially in capabilities from its other systems. The voice command was particularly limited, and the inability to use a Bluetooth-paired phone for calls and music streaming at the same time is inexcusable. I give Chevrolet a lot of credit for its app-based navigation, a very cool innovation with much potential for future, inexpensive cars. Integration of Pandora and Stitcher also seems to pave the way for many more apps. Further contributing to the car’s online capabilities is the OnStar telematics system. The Chevrolet Malibu Performance Concept is based on the new 2013 Malibu Turbo which derives its power from a turbocharged 2.0L engine that churns out 259 horsepower and 260lb-ft of torque. This drivetrain makes the 2013 Malibu unquestionably the most engaging vehicle to wear the Malibu name in many, many moons but for this performance oriented SEMA Show concept, Chevrolet Performance has added a Concept cold air intake package that should add a little more power. Helping this sporty concept sedan handle better than a standard production model is a Chevrolet Performance Concept HiPer Strut suspension system and stiffer rear springs while a concept brake package featuring 6-piston calipers with 2 piece cross drilled rotors for better stopping power. Where the Chevrolet Malibu Performance Concept really stands apart from both other Malibu sedans and the majority of the rest of the segment is in the unique body kit. This package adds an aggressive ground effects package that includes a front splitter, a rear diffuser and rocket skirts for a lower stance over the custom 20” aluminum wheels finished in a dark mirrored shade that GM calls “Knight Rider Chrome”. Chevrolet designers then added a custom lower grille area, custom fog light grilles painted Blaze Red, dark headlight bezels and a frenzy of dark chrome to give the front and a very menacing countenance. Out back, joining the unique rear diffuser is a set of clear tail lights, a large-ish (for the segment) rear wing and a pair of exhaust openings that share the Blaze Red trim from the fog light housings. Finally, the exterior package is finished off in an absolutely gorgeous matte Berlin Blue Tricoat paint that really brings the whole package together as well as some unique Turbo badging on the doors. The interior also gets the high performance treatment with a set of Recaro front race buckets trimmed in Jet Black leather with Navy Blue suede inserts featuring red accent stitching. The flat bottom steering wheel, the door panels and rear seats offer a similar leather and suede design with red stitching scattered throughout the black and blue interior. While this is something that I’ve not often said about the Chevy Malibu – this is one fantastic looking sport sedan. The natural lines of the 2013 Malibu work incredibly well with the ground effects package for a look that is distinctly aggressive but it is still subtle enough that it wouldn’t be an outlandish production package. Chevrolet has, in the past, offered a performance themed package such as the “Maxx SS” package although those station wagons were a far cry from anything resembling a performance model. The SS name seems to be reserved for the Camaro and the upcoming Chevrolet SS Performance sedan so it doesn’t seem likely to see a new Malibu SS packing this type of package but considering how clean this concept looked at the 2012 SEMA Show – this could attract those buyers who want an affordable, powerful and efficient sport sedan. The Malibu Performance Concept looks great as a show car but we will have to keep our fingers crossed for anything resembling this in a production model…Although it would be pretty awesome if they did bring a vehicle that looks like this concept…even if only in terms of the exterior appointments. The Volt sees a few changes for 2013. Most notably, it features larger batteries, which Chevy claims will up the all-electric range from 35 to 38 miles. The effective miles per gallon equivalent (MPGe) has increased as well, up from 94 to 98. Also a new optional rear seat armrest, as well as two new exterior colors are available–Pebble Beige and Silver Topaz Metallic. A new “EV Hold Mode” allows the Volt to store energy from the gasoline engine for later battery use at the driver’s discretion, when battery usage is best optimized, such as city driving. The Chevy Volt is the first mass-produced, purpose-built, plug-in hybrid from a major manufacturer. The Volt is an electric car, so its batteries can be charged when it is plugged into an outlet, but the Volt also carries a small gasoline-powered engine on board to charge the batteries, should a longer range be required. The Volt was intended to include all the modern safety and convenience features expected from a 4-seat hatchback, and as a result, the MSRP of the Volt seems steep at $39,995. However, some estimates have placed the cost-per-mile at only two cents. Volt buyers may be able to take advantage of federal and state tax credits as well, making this revolutionary car more affordable than its base price suggests. The Chevy Volt is GM’s first plug-in hybrid vehicle. It carries a bank of lithium-ion batteries underneath as its primary fuel source. The batteries can be charged by plugging them in overnight, and can provide a range of 38 miles. Should the driver require a longer range, an on-board 1.4L 4-cylinder gasoline-powered engine automatically starts up to generate additional energy. A regenerative braking system provides additional charging whenever the vehicle slows. Overall, the Volt’s miles per gallon equivalent (MPGe) is rated at 98. New for 2013 is “EV Hold Mode.” The system allows the driver to control when the electric motor is active. In doing so, the driver is able to utilize battery power when it is most effective, while driving in the city, for example. The Volt is capable of a top speed of 100 mph, making it suitable for highway driving. Like all electric cars, the Volt has lots of torque right from the get-go, making for quick starts and fun driving. Steep hills, driving at faster speeds, and flooring it at every red light will all reduce that 38-mile electric-only range. Chevrolet understands that an electric car will only be successful if drivers and passengers don’t feel compromised by the experience. The Volt comes with eight standard air bags, which includes a knee bag for the driver as well as side curtains for all passengers. Navigation, satellite radio, Bluetooth and remote keyless entry are all standard equipment. A standard cargo cover keeps the contents of the 10.6-cubic-foot trunk hidden. GM’s OnStar system is included for five years. A Bose sound system is also included and includes a 30GB hard drive and USB port. This system uses less energy than other stereo systems, allowing more power to be utilized at the wheels. Leather seats are even available for a little touch of luxury. A rear camera and park-assist system are also available, as are heated front seats. This year, the autumnal equinox is on September 22nd. Which means fall activities are falling into place. Whether it’s returning to campus for homecoming or driving the kids to their extra curricular activities, the Chevy Equinox is ideal for families and friends on the go. This crossover is a 2012 Consumers Digest Best Buy. And once you experience all that it has to offer, it’s easy to see why. Not only does Equinox seat five comfortably, with its innovative Multi-Flex sliding rear seat, passengers also get the most rear-seat leg room in its class. On the road Equinox attains impressive fuel economy with an EPA estimated 32 MPG highway plus the confidence of a 2012 IIHS Top Safety Pick. All of this packaged in an attractive and stylish exterior. Stop by Bob Maguire Chevrolet and test drive this unique crossover today. And enjoy every equinox in a Chevy Equinox. Minicars haven’t been at all significant or successful in the U.S. market, yet several carmakers think that there is a future for this size car in American cities and urban centers. At about 14 inches shorter than the Chevrolet Sonic subcompact (in hatchback form), the Spark measures up as longer than a Smart Fortwo or Fiat 500, or about the same length as a base Mini Cooper. Fuel economy should be excellent (especially in city driving), parking and maneuverability will be even easier than in nearly any other vehicle and yet the Spark’s four seats should give it more flexibility versus some other minicars. 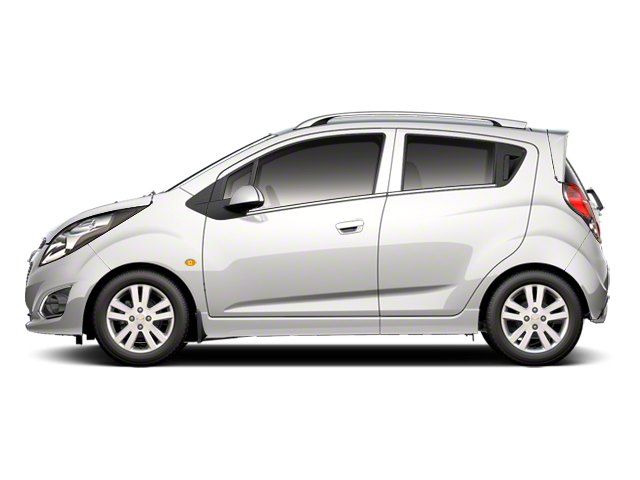 The Chevrolet Spark is offered in three different trims: LS, 1LT and 2LT. Standard equipment even on the base LS includes air conditioning, power steering, power windows, tilt steering-wheel adjustment, a rear defogger, variable intermittent wipers and a 4-speaker AM/FM radio. Spark 1LT adds some popular equipment, including keyless entry, power locks, cruise control, power side mirrors and upgraded 6-speaker audio with USB and aux inputs, satellite radio and Chevrolet’s MyLink Touch system, which has a 7-inch color touch screen and allows hands-free and audio-streaming capability, as well as access to apps like Pandora and Stitcher, with some smartphones. Top-level 2LT models get an upgraded look with leatherette (vinyl) seats, a leather-wrapped steering wheel, steering-wheel controls, alloy wheels and fog lamps, plus special front-end details, chrome trim, a chrome exhaust tip and bright-painted roof rails. No matter the model, the Spark will be powered by an 84-horsepower, 1.2L 4-cylinder engine, mated to either a 5-speed manual gearbox or a 4-speed automatic transmission. The engine has a modern design, with dual overhead cams and dual continuous variable cam timing, so GM promises both low maintenance and high fuel economy figures. On the outside, the Spark looks sportier than you might expect for a simple urban hatchback, with ‘hidden’ rear door handles and flamboyant exterior finishes in colors that include Denim, Jalapeno, Lemonade, Salsa and Techno Pink, as well as traditional colors. Inside, too, a dash design that’s motorcycle inspired and borrows some of the same influences from the Chevrolet Sonic, the look inside is far from economy-car drab. The Spark has space for four, with an upright seating position and a good view out from the front seats, combined with the space to fit two smaller adults in back. The Spark’s layout is quite typical for a very low-cost, front-wheel-drive small car. The suspension follows a MacPherson strut-type arrangement in front, with a torsion-beam setup in back. Stops are provided by front-disc, rear-drum brakes; there’s electric power steering; and the Spark runs on low-rolling-resistance tires, which also boost mileage. Safety is taken seriously here–especially considering the Spark’s very small size (at less than 145 inches long)–and Chevrolet has included a roster of safety features that wouldn’t be impressive in a mid-size luxury car. StabiliTrak stability control is included, as are anti-lock brakes. There are ten standard airbags in the Spark, including front side bags, side-curtain bags, and front knee airbags. The Spark even includes GM’s OnStar emergency and concierge services. Chevy Youth Soccer Kicks Off Another Season! Your Philly Area Chevy dealers are once again supporting their community through the Chevrolet Youth Soccer Program. Similar to our highly successful Youth Baseball program, the Youth Soccer program is in its second year and has been a big success in helping more communities and youth sports leagues. Dealers in Philly, South New Jersey and Delaware are sponsoring local youth soccer leagues as a part of Chevrolet’s nationwide commitment to support youth sports. Chevrolet helps facilitate the partnering of each league with their local dealers. The sponsorship includes a donation of $1,200 worth of Chevrolet branded equipment and a $500 check for promotional elements. Most leagues will run from September through October. In addition, Youth Clinics will be held at the Starfinder Foundation Indoor Facility in Philadelphia on October 7th at 12:00 PM where the children get a chance to get coaching tips from professional players and coaches. 100 kids get the chance to participate at the clinic on a first come first served basis. We look forward to supporting our local athletes through Chevy’s Youth Soccer Program: a grassroots, community outreach program geared toward bringing together America’s favorite brand with America’s fastest growing sport!